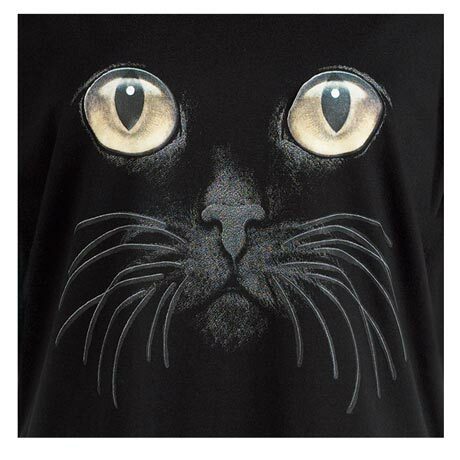 Bright eyed cat is available on black 100% cotton sleepshirt in sizes S/M, L/XL, hangs 35"-37" from shoulders. T-shirts are 100% cotton. Sweatshirts are 50/50 cotton blend. 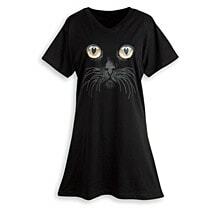 Sizes M-XXL. Imported.